We may obtain information about you from various sources, including our Site, when you call or email us or communicate with us through our Site or social media. Your Personal Information and demographic information (such as zip or postal code and company name), if you choose to provide it or if we obtain it in the manner described above. A general geographic location (such as state and city) from which a visitor accesses our Site. GEYEN GROUP SOUTH is a general audience site and does not see to collect personal information from or about persons under the age of eighteen. Geyen Group Souths’ primary goal in collecting Personal and other information on this Site is to give you an informed and customized experience while using our Site and allow us to create additional services to facilitate the needs of our clients and contacts. Provide services requested by users, communicate with uses regarding our services, and enhance the operation and experience of our Site. Respond to questions and comments and provide client support. Contact you and deliver information to you that, in some cases, is directed to your interests, enable you to communicate with us through social media: and solicit your feedback and input. These communications will contain links for preference management and where appropriate, unsubscribe links should you decide you do not want to receive further communications. Operate, evaluate and improve our service. Analyze trend and statistics regarding visitors’ use of our Site and social media assets. Protect against and prevent fraud, unauthorized claims and other liabilities, and manage risk exposure, identifying potential hackers and other unauthorized users. When you visit our Site, we may place a small text file called a “cookie” in the browser files of your computer to assist us in providing our services.. The cookies themselves do not contain Personal Information, although they may be used to collect and process aggregate tracking information to determine which areas of our Site users like and do not like based on traffic to those areas. This helps us continue to build a better service for you and other Site users. Cookies also enable us to link your use of this Site to information that you have specifically and knowingly provided. The cookie will not be used to retrieve information from your computer that is unrelated to this Site or your interaction with it. A cookie can not read data off your hard disk or read cookie files created by other websites. If you wish, you may instruct your internet browser to prevent cookies from being used or to notify you before a cookie is placed. You do not need to have cookies turned on to use this Site. However, if you have cookies turned on, it enables us to more accurately customize your shopping on this Site. 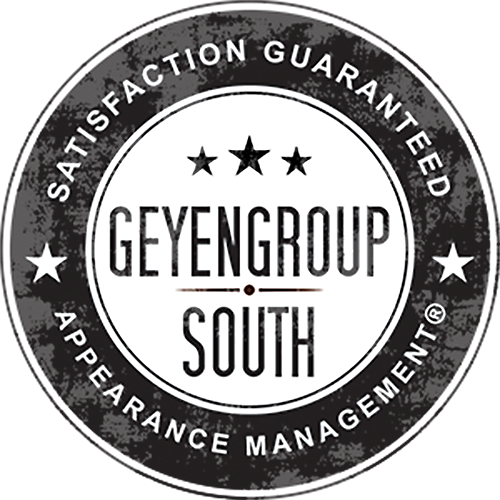 Geyen Group South does not sell email lists or Personal Information to unaffiliated third parties so that they can market you. Geyen Group South may disclose your Personal Information or other information to unaffiliated third parties if we believe in good faith that such disclosure is necessary: (a) to comply with applicable law or in response to a subpoena, court order, government request, or other valid legal process; (b) to produce relevant documents or information in connection with litigation, arbitration, mediation, adjudication, government or internal investigations, or other legal or administrative proceedings; (c) to protect the interests, rights, safety, or property of Geyen Group South or others; (d) to enforce the terms of any agreement with Geyen Group South. You may ask for a copy of your Personal Information, ask for your Personal Information to be updated or corrected, or ask us to remove your Personal Information from our records by contacting [email protected] All requests must include the following information: first name, last name, and email address. 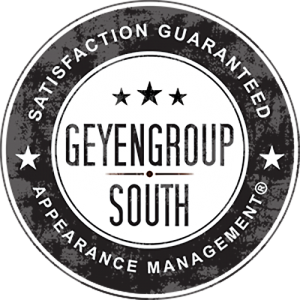 Geyen Group South will make reasonable efforts to accommodate your request, but reserves the right to impose restrictions and requirements on such access requests, if allowed or required by applicable law. Our Site may contain links to other sites for your convenience and information. These sites may be operated by companies not owned by Geyen Group South and may have their own privacy notices, which you should review if you visit those sites. We are not responsible for the content of any sites not owned by Geyen Group South, any use of those sites, or those sites’ privacy practices.